Of course, the biggest task this year has been bringing the first half of Steve Jackson's Sorcery! epic to the App Store. We were never going to do a straight clone of a physical gamebook - Tin Man Games has that market sewn right up - but even we didn't quite know what we were making until the weeks before release. We had a lot of luck - not least, being contacted out of the blue by fantasy cartographer Mike Schley, offering his services in case we needed them. We didn't - until we looked at his amazing portfolio of work and realised we really, really did. Our original design, for a chapter structure that broke the story into days, went out of the window, replaced by a focus on that beautiful hand-drawn map, and all the other elements - the rewinding, the story chunks - fell into place around it. The result gathered a huge amount of attention, with articles everywhere from USA Today and Forbes to Kotaku and The Sunday Times. And now, six months later, the first game has popped up on Mashable's "Best 10 Mobile Games of 2013". That's a huge honour for us - Mashable is a big site, and we're thrilled to have been included: and thrilled that they used our game to illustrate the article! 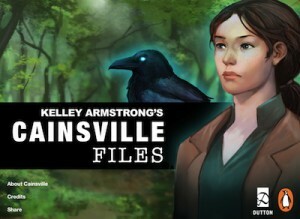 The second half of the year was spent on two projects: on the development side, we built Kelley Armstrong's Cainsville Files, another collaboration with Penguin USA, and written by bestselling author Kelley Armstrong using our inklewriter site. At the same time, we were writing and designing Sorcery! 2, the second part of the adventure. We knew we wanted it to be bigger and more intricate than the first part, but we weren't quite prepared for how big and intricate it turned out - with over 350,000 words of content, several players have reported spending 10-12 hours on the game, often on a single play-through! Coverage in the press was more muted: sequels are less newsworthy than debuts; the game was much bigger and so more demanding to review; and we released the game about 7 days before a certain pair of companies released some new hardware that occupied most of the attention of the gaming press. 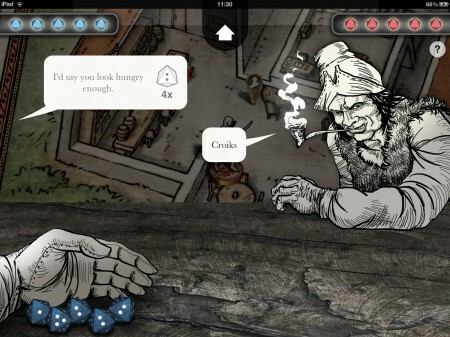 The App Store market is also definitely getting busier: the week we released Sorcery! there were three or four other big titles at the same time; whereas the week Sorcery! 2 came out was, according to Kotaku, "the biggest week in gaming apps ever". Still, the reviews trickled in - 100% from Gamezebo, 90% from Touch Arcade, 100% from Pocket Tactics. And that last site recently voted Sorcery! 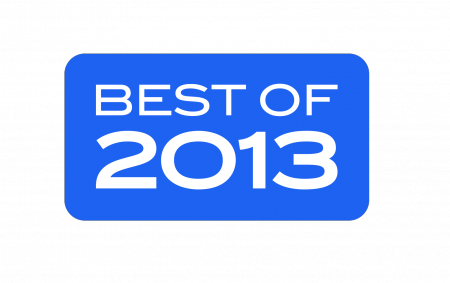 2 their best interactive fiction game of 2013. It really says something about the interactive story space that a site like Pocket Tactics even has a category for "best IF": when we produced Frankenstein there were perhaps two or three gamebook and gamebook-esque companies working in the app space; there are now dozens, trying all sorts of different styles and approaches. 2013 is the year when the idea of Interactive Fiction really came alive and broke out of the various niches around the internet to become something that was covered, somewhere at least, by every gaming site and review slot - with Device 6 almost claiming Apple's top slot for Game of the Year, and indie Twine developers making huge industry waves at GDC. That we've had a chance to be part of that is fantastic: from a Let's Play slot on Yogscast to a few mentions in this recent TV slot on IF on CUNY. So: it's time to relax, put our feet up, eat mince pies and check Twitter. But what about next year? First up, we're hoping to get that Android port of Sorcery! out in January. Porting a game with so much graphical richness (layered transparencies, 3D, and worst of all, nice fonts) to the Google-powered platform has proved to be a much, much harder task than we originally anticipated, and pretty much every trick, tool and short-cut we've tried has failed. But the work is almost complete: the game runs at a decent clip, and looks nice too. We just have to fix a very, very long list of layout bugs..! We want to thank everyone who's been following that project for your patience: Android is a place that needs high quality games and we want to be part of that. And we will be - very soon. The plan is to release Part 1, and then Part 2 quite quickly afterwards, and then Part 3 as a cross-platform release. Keeping watching this space! Secondly, of course, there's Sorcery! 3, which takes the adventure out into the weird wilderness of the Baklands in search of the Seven Serpents. Our designs are settled, and we can reveal that we're going to be upping our game again here, with some intriguing new features that will have a big impact on the way the game is played. But don't worry - we're not adding 3D fight sequences, or tilt-the-phone-to-read-the-text: the idea we're exploring is tightly tied to what we've done so far. Finally, we have a secret up our sleeves, that we've hinted at in a few places but not said anything detailed about yet. We've talked about how we're interested in merging interactive stories and board-games; we've said we're working with an awesome new writer who's filling our story-world with fascinating ideas, wonderful settings and clever, witty prose. It's an exciting time in the project right now: the design is mostly worked out, but not totally locked, and we're chewing through visual mock-ups, scribbling over them with a virtual red pen until we find the things we love. What's the story? We're keeping that under our hats for now, but to say this: it's going to be quite the journey. More soon.